Hello Everyone!! I'm back from vacation and slowly getting back into the swing of things so please bear with me. Before leaving for vacation I took some time and downloaded a bunch of new music for my iPod. First let me say I love every type of music and you will find anything on my ipod-from show tunes to Pink Floyd, Britney Spears to Jay Z, Bob Marley to 80's hits. I have a little bit of it all! That said-I should have saved me money from buying new music because I had two songs on constant replay the whole week and couldn't wait to share them with you to check out. The second song is by an upcoming new artist who I think has a HUGE career ahead of him! 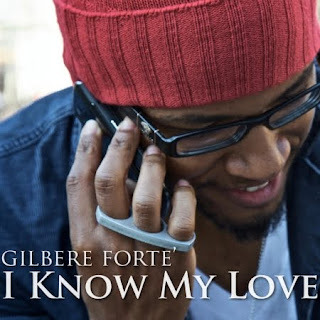 His name is Gilbere Forte'- the song- Know My Love. Seriously- I Know I Love this song! I had it on repeat the whole way home from work last night and for some odd reason each time it started over I smiled. Go to Itunes (click HERE) and listen to it, buy it, download it! Just get it! I can not wait for his CD to drop on July 20, 2010!! You're going to love it! Just a tease picture for now- but I have new posts coming soon! Hope you're having a great week! Missed you all so much! I love the yellow dress ! Effortless Chic ! btw, I am doing a giveaway on my blog. Hope you check it out ! I really like Eminem and Rihanna together...their voices just work! Love your yellow dress...so pretty! hi! first time on here and was surprised when I saw "beijos" ! Then scrolling down I read u spent some time in Brasil :) (I'm from Vitoria).